An exciting post from Henry, as he told us all about the artists taking part in his treasure hunt at Ace Comic Con (check out their drawings). He also teased a big Mission: Impossible 6 stunt he was taking part in and we wouldn't be surprised if it involves heights, given what director Chris McQuarrie has been sharing lately. Still mad for you, #London. Production continues in London, after Tom Cruise's summer injury forced a delay. At last check, filming was expected to wrap by the end of the year. Hope he's careful. We need him to be Superman for quite a while longer! Heights are scary! 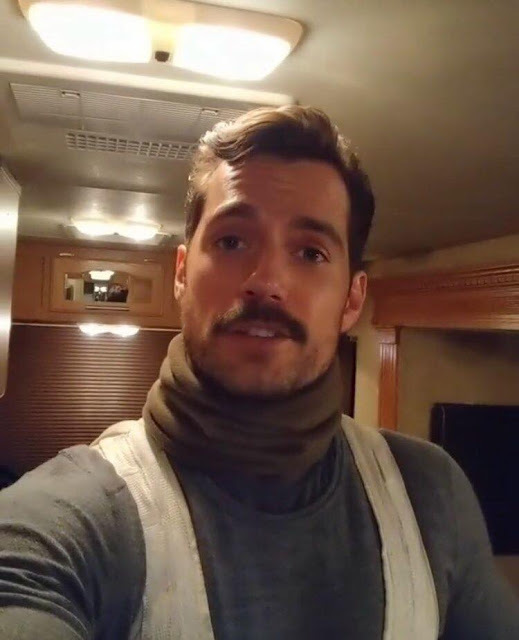 Looking very nice, Henry. Take care. D.